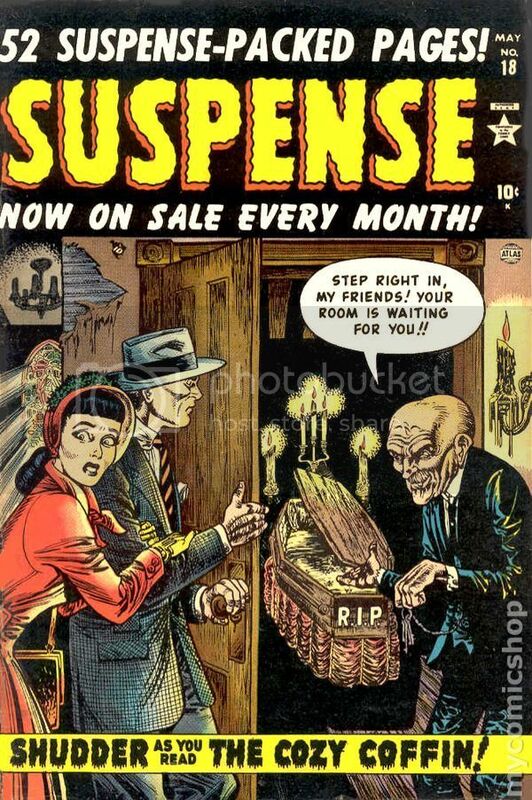 Share your #3 favorite classic comic horror artist here. Be sure to include images and explanations to justify your selection! 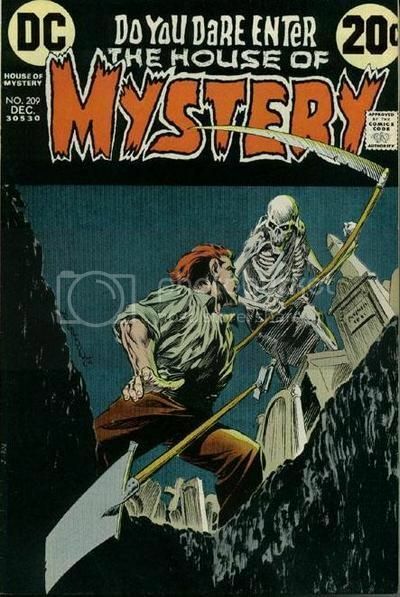 I'm in full agreement with pakehafulla on this one: Bernie Wrightson's art was so ubiquitous across early Bronze Age horror covers that it's hard not to be overcome by nostalgia when you see that familiar style turn up in a back issue bin. I don't but original art anymore, but every time a Lee Elias page of the motorcycle-riding heroine Black Cat, I'm awfully tempted. I first saw his name on second-tier 60s DCs, but in the 40s and 50s, Lee Elias was a very good artist in the Caniff mode. 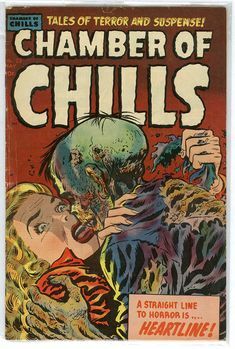 But when Harvey comics decided to jump on the horror bandwagon, Elias turned out some wild, well-drawn, "wertham was right" artwork. Shax and I on the same page here! What's makes Bernie great here? Bernie in my mind uses motion to express the horror of Solomon Grundy here coming out of nowhere to see revenge on Batman here. The only negative thing about Bernie's work in this carefully picked illustration is his ridiculous length of Batman's ears and that's bothers me a great deal. If he had tone it down a bit - I would be a much better illustration here. 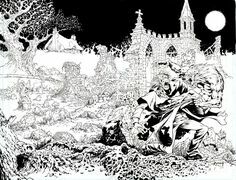 Motion is the key thing about Bernie and I'm a rookie here in Horror Art and this is my 1st time and I have been looking at other art as well and I didn't realize there are so many wonderful art out there and I feel that Bernie Wrightson is one of the better artists that I've seen. Bernie is also a master of perspective here and without realizing this Grundy here doesn't know that Batman is lurking nearby and therefore in this illustration here is a perfect example of how he uses Batman as the focus point of this picture and without realizing this - he now have two focus points of this picture. Batman in the shadows of Grundy; and Grundy's sudden emergence here along with his sheer determination to destroy the Caped Crusader shows that by his expression of his face in pure evil and horror. 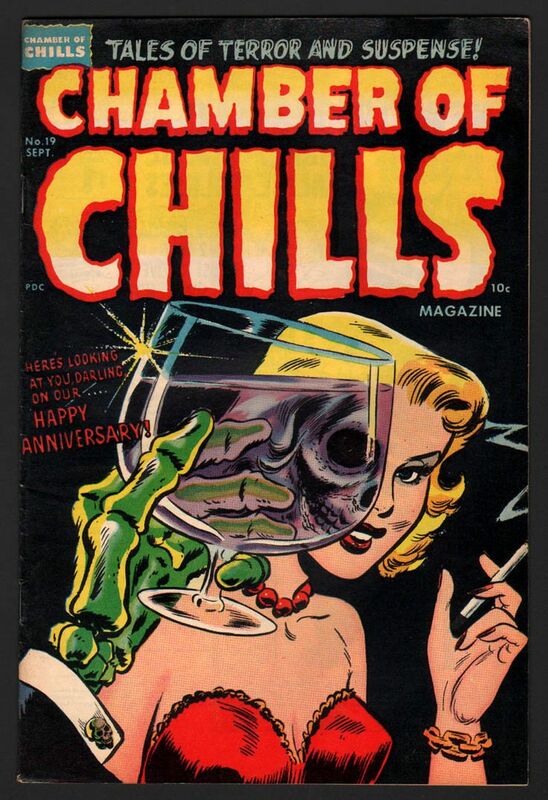 Bernie also uses very little color to his artwork and seeing some of his other works - sorry they aren't in the theme of the Long Halloween Week - and that's why his art is so good. 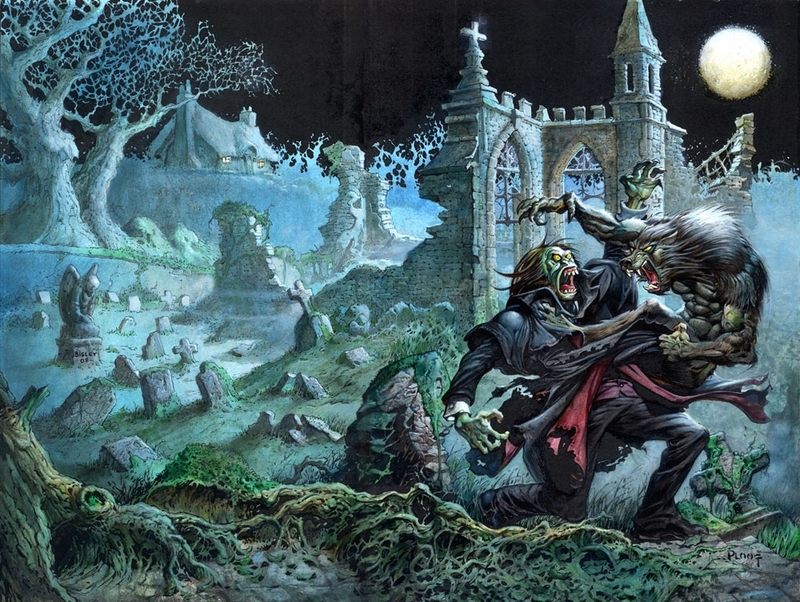 The only two colors that are Grundy's white hair and the Yellow Moon and that's helps create the scene here in this picture of Bernie Wrightson here. That's my take on Bernie! 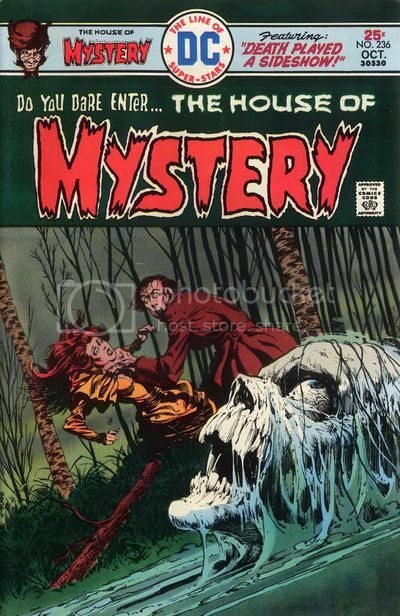 Ploog was almost synonymous with Marvel horror in the early Bronze Age. 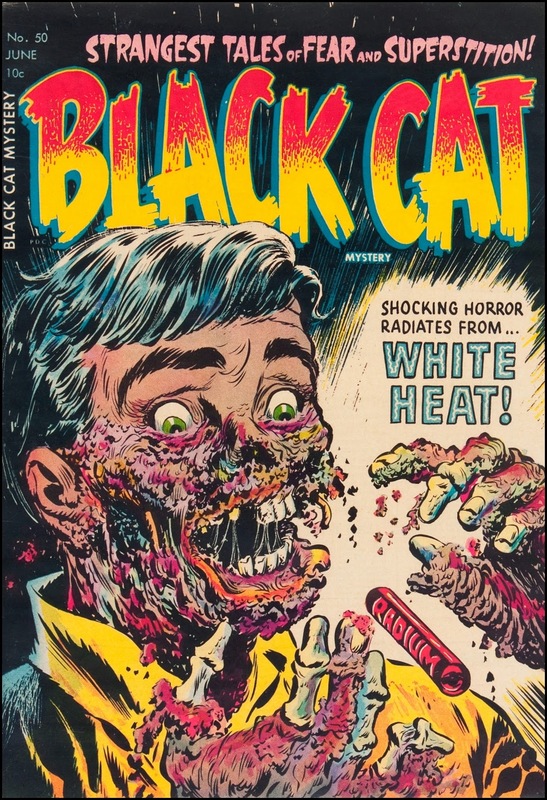 His style has a quirky, instantly recognizable quality that at once draws you in and makes you want to flee in terror. I discovered him at the dawn of my comic interest with Enigma, qiuckly followed by his previous Kid Eternity and subsequent Face. 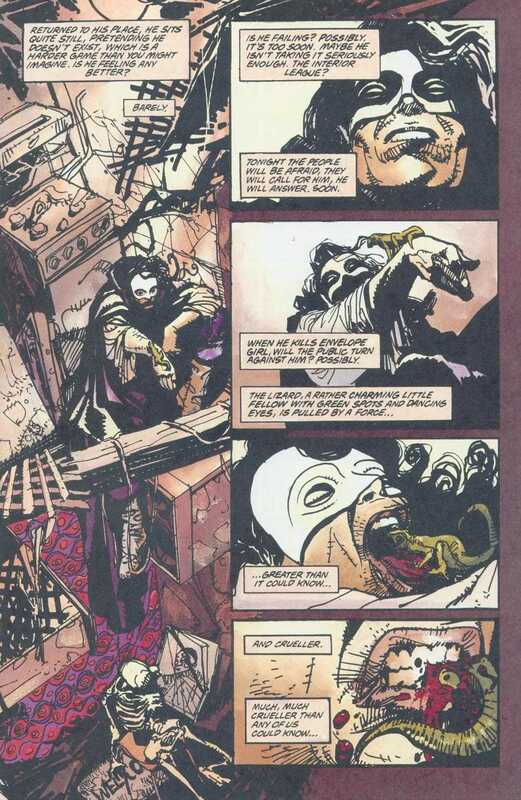 Face is one of the best horror stories I ever read, a great entry from Milligan, but you can't undermine Fegredo's role. 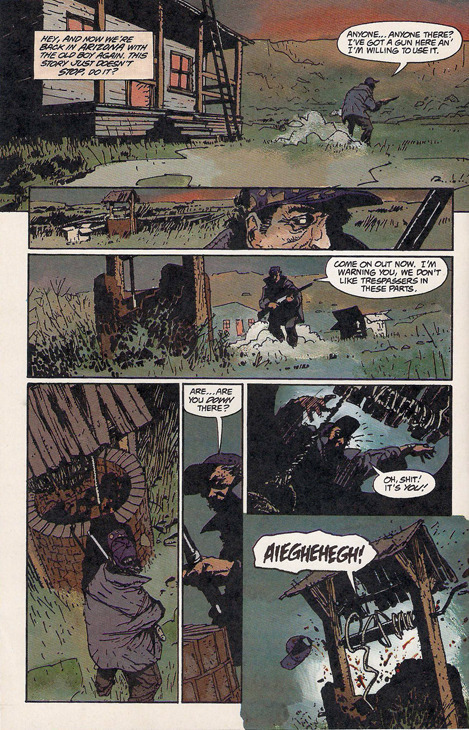 He started out with the typical UK 2000AD ground that you can find with the Dillons, Bond, McNeil, Ormston, etc... You could see early on he wasn't gonna mimic Bisley as many other but took an interest in one of Bisley's influence : Bill Sienkiewicz. 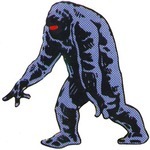 What was really cool wit hhis early work is you could see him evolve with giant leaps from issue to issues. 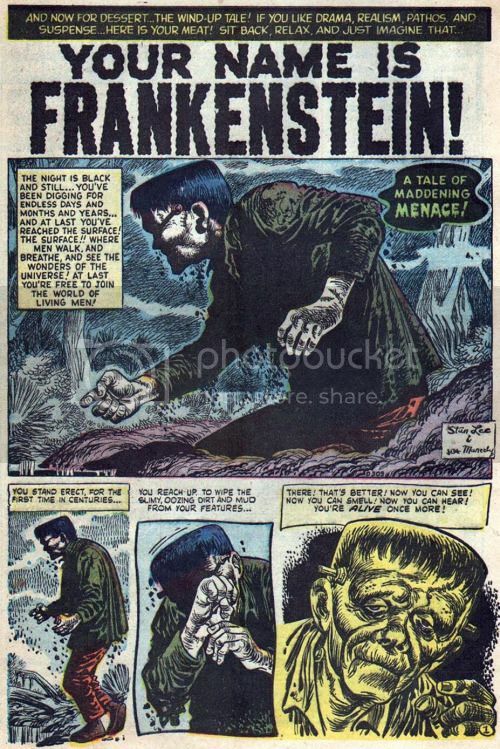 Even if most of his stuff back then wasn"t pure horror, it was at least always moody and somewhat creepy. 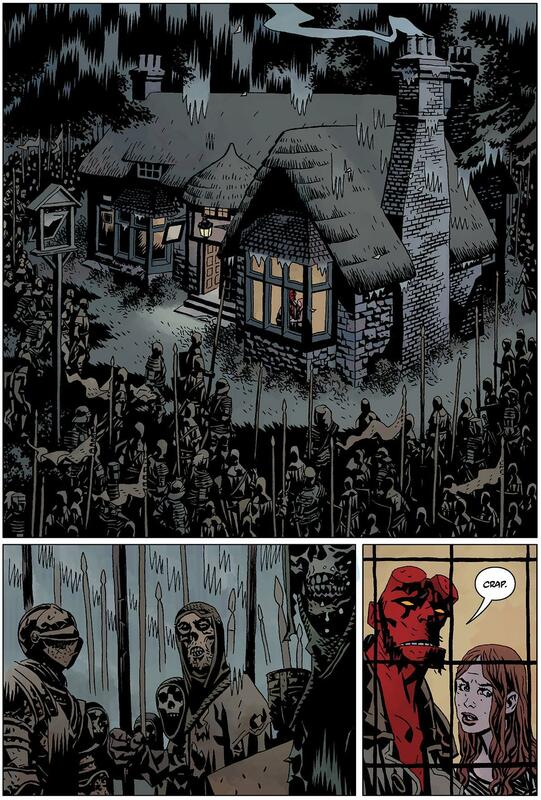 With his later stard-making runs on Hellboy, he probably became more eerie/spooky then creepy, but that qualifies as horror, right? Anyhow, he obviously became a master of his craft and his horror material or horror related always managed to creep into my mind, whether I wanted it or not. Oops some spooky batman related stuff! It should come as no surprise that my favorite overall artist makes my list. 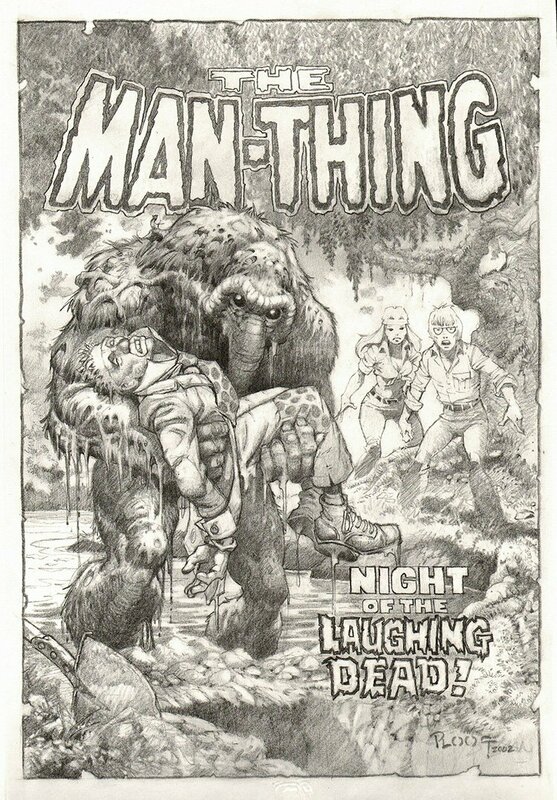 Joe Maneely was a master draftsman whose distinctive style succeeded in numerous genres, but it is his extraordinary work in horror comics that concerns us here. His contemporaries report that Joe's pencils were very rough, often no more than vague geometric shapes. The vast majority of the artwork was produced in the inking, and it is here that Maneely's prodigious talent truly shines. Heavy blacks conjure a world of looming shadows and palpable menace, while his exhaustive hatching and cross-hatching create rich and varied textures. More than once I've run my hand over a Maneely page, half expecting a tactile sensation, like the surface of a coin. 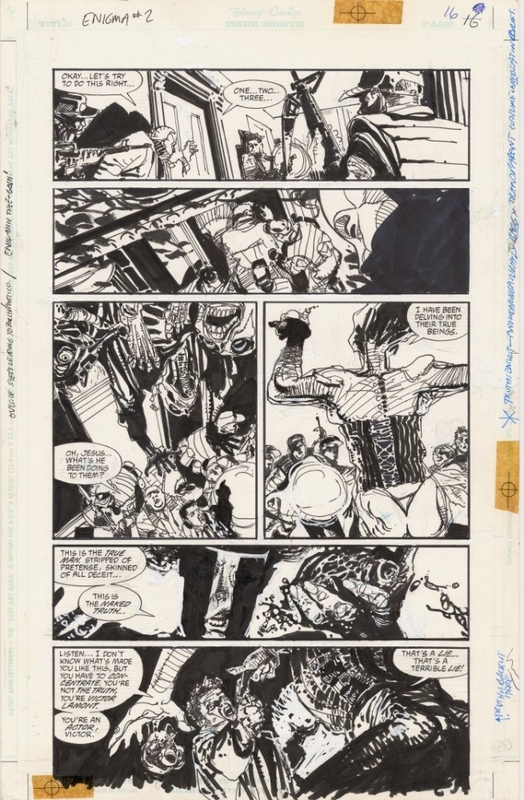 His finely-detailed work makes exquisite use of every millimeter of the page. 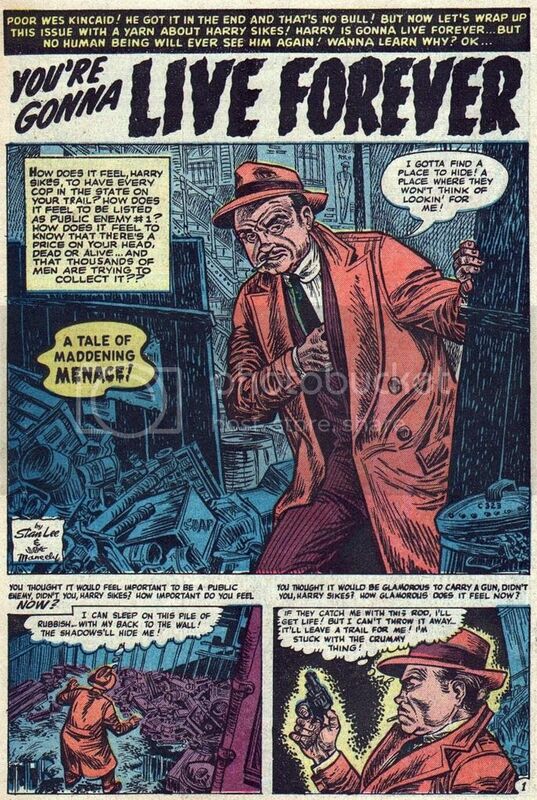 Despite this almost obsessive attention to detail, Joe Maneely was fast, some say as fast as Jack "King" Kirby. Still others contend that Maneely was faster! It matters little now, if it ever did. His work is exceptional, the product of a true master. 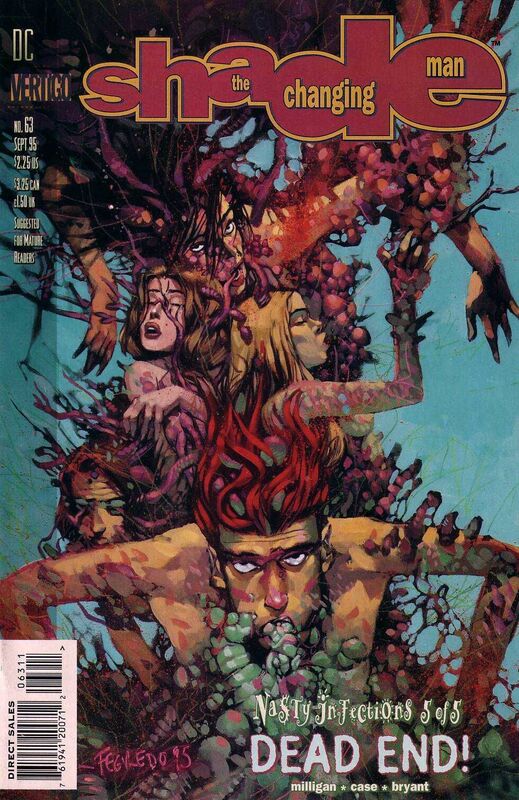 Face is one of the best horror stories I ever read, a great entry from Milligan, but you can't undermine Fegredo's role. 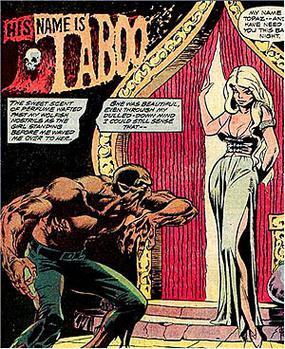 . .
Fegredo is unknown to me, or was until your excellent write-up. That's powerful, visceral stuff. Great pick. Huzzah! 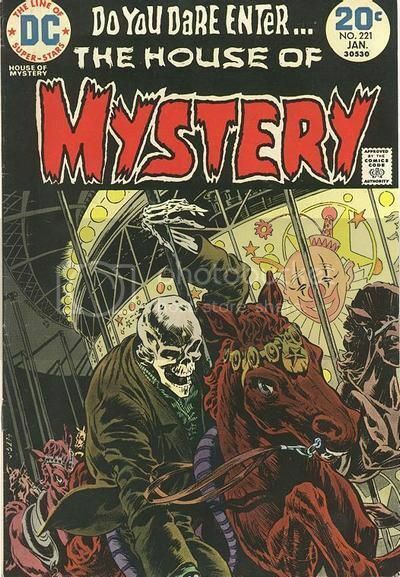 I was hoping someone had Mike Ploog. 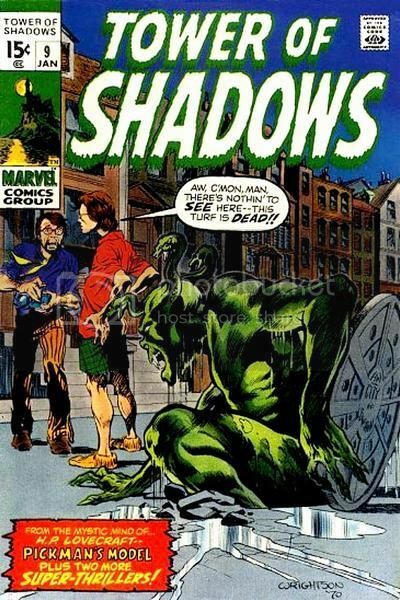 You couldn't be more right about his ubiquity in 70s Marvel horror. 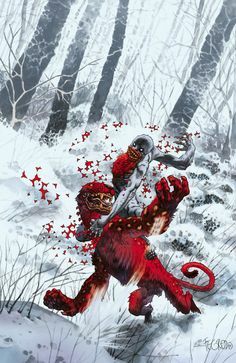 To this day, whether it's Ghost Rider, Werewolf By Night, Monster of Frankenstein, or Man-Thing, Ploog's interpretation is my personal Gold Standard. I was thrilled when Power Records adapted the Ploog versions of those classic characters for their Book 'N Record series back in the day. "Night of the Laughing Dead," which features a circus clown committing suicide, is one my mother still to this day regrets buying for me. It's okay, Mom. 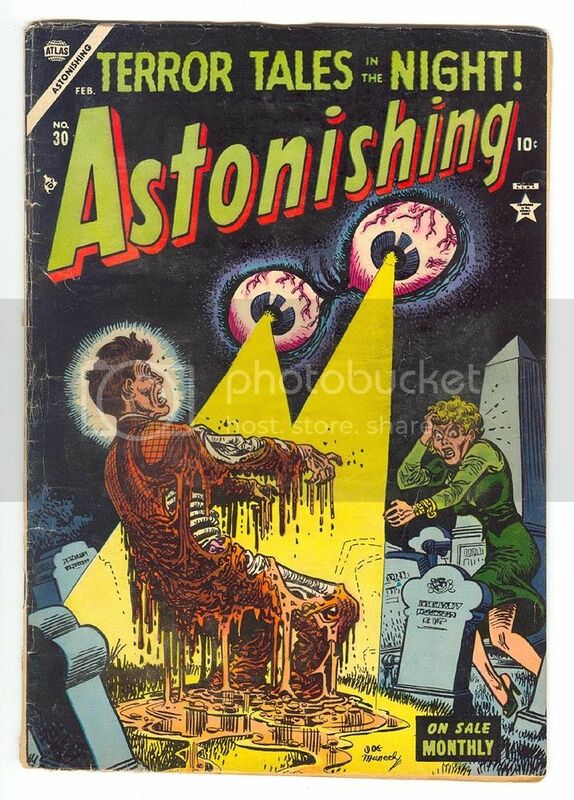 It's just comics. Man... 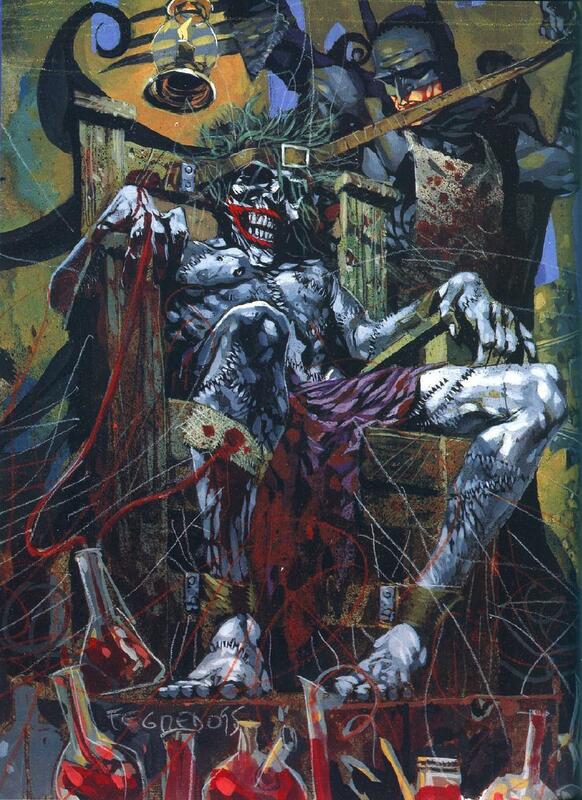 I almost considered Bisley for my top, master of color, mood and eerie, but looking through all his work I know, very little tackled actual horror. He did lots of dark fantasy though, but it's not the same thing. That's the same reason I didn't include any Dave McKean, as he's also dark fantasy instead of horror. 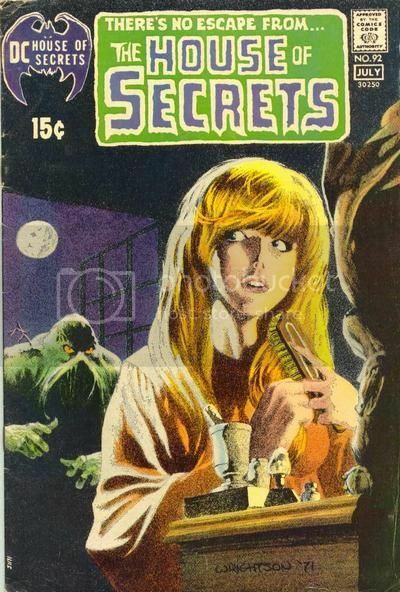 Fans probably know Jill's work with Neil Gaiman and Sandman but Jill's a good master of spooky and scary. Her own creation of Scary Godmother is one of the most charming and delightful books about Halloween and all things that go bump in the night. Like my number 3 selection, Thompson's blend of whimsy and cute scary are a delight to read. 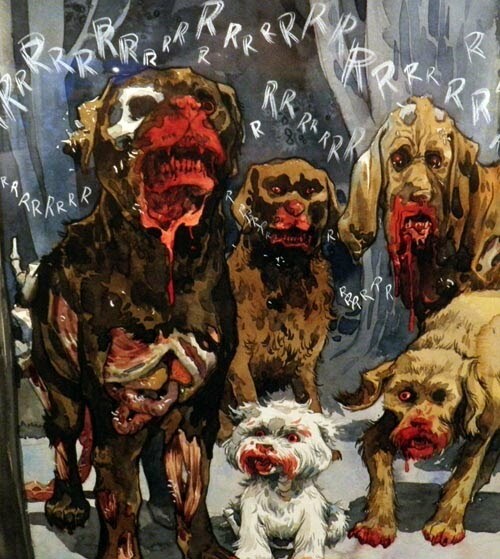 The little white Shih Tzu with the bloody muzzle does it for me, as that's my dog! I'll be sleeping with one eye open for the next month. Thanks, DubipR! 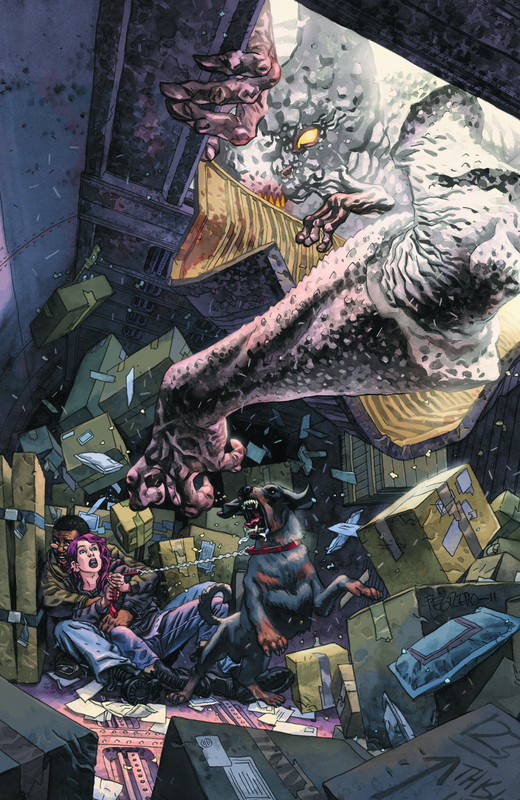 Thanks for the Fegredo pics AGS. I had only know him from his Hellboy universe works. But those images and your write-up show him to be capable of some truly horrific stuff! 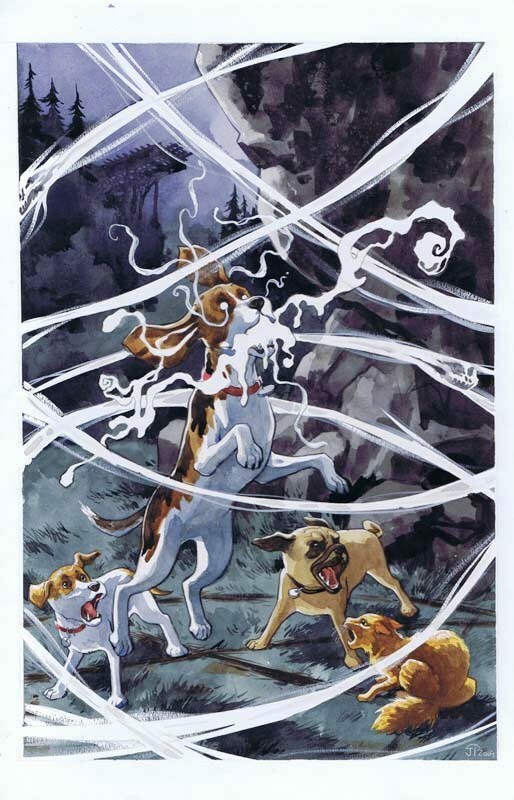 I loved Scary Godmother, and I've been a big fan of Beasts of Burden since the Hellboy crossover but I never put the two together!